It is common for people to faint and later regain consciousness. But in the worst scenario the fainting episode may be a symptom of a serious underlying disorder that may cause death. According to Michael Mungoma a physician at Mulago hospital, fainting which is the loss of consciousness is caused by temporary lack of oxygen to the brain. Mungoma says the fainting usually lasts between one to two minutes for the normal flow of blood to the brain to be restored. He says it is important to establish the cause of fainting, for instance could the person have stood for long or stayed hungry. If the cause is not clear, then the victim should be examined, he advises. What to do when a person collapses? 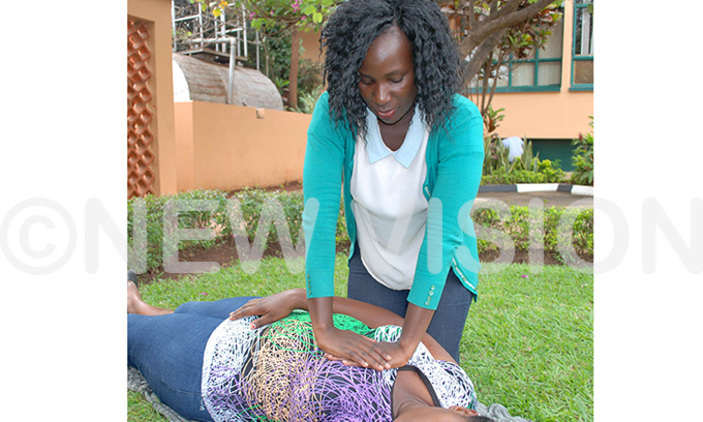 Jackline Atugonza, a consultant cardiologist, says when someone collapses suddenly, people around should quickly check whether the victim is breathing or has a pulse by doing the following. Carry the victim to an aerated place, loosen their clothing and make them lie down. Put the ear on the chest/heart to listen for the heartbeat. Alternatively, you can check for the pulse by placing your index and middle fingers on the victim’s neck to the side (either left or right) of the windpipe and hold for 10 seconds. Or by feeling for the pulse is by placing your thumb in the inner surface of the arm on the side. If the victim is still breathing, then make the person lie down. Atugonza says the victim is safer lying on the side than the back because the tongue may fall back blocking the airway or saliva can choke them, she warns. She says this position puts the head on the same level as the heart and blood flows more easily to the brain restoring consciousness. The victim should be left to rest until fully recovered. The absence of a pulse is a sign that the victim could have suffered cardiac arrest. Atugonza advises to perform cardiopulmonary resuscitation (CPR) also known as chest compression while you call for medical help. “Chest compression will help the heart to start functioning by giving a steady oxygen supply to the brain, but the medical worker will give further treatment,” she explains. When the heart is not revived within five minutes, the victim may suffer irreversible brain damage within seconds. “Cardiac arrest is so deadly that when the heart stops pumping blood, oxygen and glucose delivery to the brain stops,” Atugonza explains. Atugonza advises to make the victim lie on the back, preferably on a flat surface, with their airway open. Then kneel besides the victim and place one hand over the other with interlocking fingers. Then press the breast bone (the flat bone found in between the breasts). Press down until the victim’s chest has compressed about an inch, keeping your arms straight and release. Relax and repeat step 6 at a rate of 6-10 compressions until you feel the pulse rate. According to Mungoma, people who are deprived of oxygen for long may suffer cardiac arrest for example those locked in burning buildings. People with coronary heart disease like high blood pressure and those with diabetes are at risk in addition to those with structural heart diseases, for example, abnormally enlarged hearts. Sudden cardiac arrest is a leading cause of death. Over 320,000 out-of-hospital cardiac arrests occur annually in the United States of America. Mungoma says there is no data for Uganda due to poor documentation and reporting.